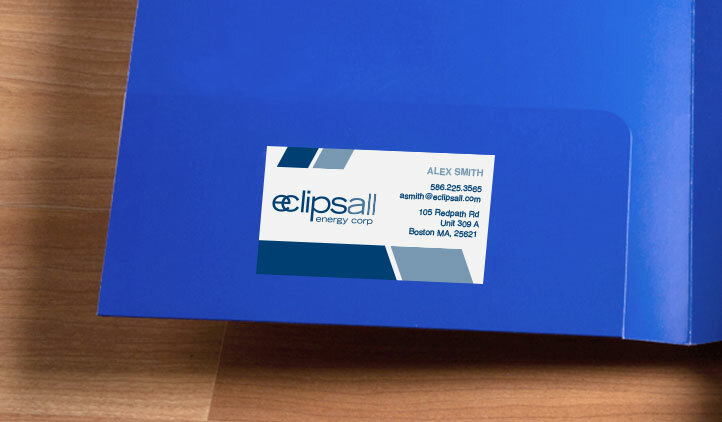 Business Card Stickers are a unique new style for business cards! Choose the standard wallet template of a 3.5”x2” rectangle sticker and use one of our designs, or upload your own using a company logo or design. Looking for new business card ideas? For creative, unique business cards, make business card stickers! Using the standard business card size, at 3.5”x2”, you can make your own in our sticker maker. 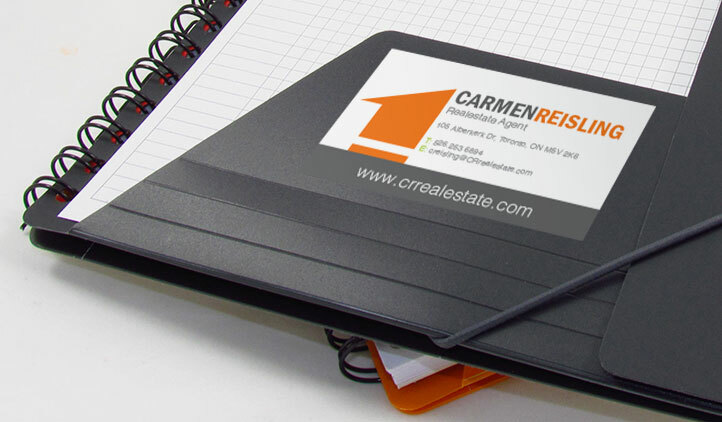 Upload your business logos, contact information, company name, and your client’s will love the cool new business cards. They can fit in the standard business card holders, or stick them on displays, folders, phones, on gifts for clients, or use them for hand outs at your next event. When you go to your next trade show, stick a business card on all your company’s samples, or give to clients to reduce the risk of losing your contact information when they can stick it! StickerYou’s high quality, bubble free stickers stick strong on most materials, and will come off clean leaving no messy residue behind to harm your products. Choose from our selection of templates, and add in your own logo, and contact information, or upload your own business card designs in our sticker maker! Make a business card, right here at StickerYou! Whether you're operating from a cozy storefront, the basement of an office building, or from your own home, there are things you can do to upgrade the look of your space. Beauty is in the eye of the beholder, but value is in the eye of your customer, so make sure your business looks like a business. There is a lot of published works around which marketing strategy is best for a small business; keep with what's proven and build awareness, or explore new territory with a targeted strategy? As a small business, we've tried both- here's what we know. A new year means a fresh start. A fresh start means an opportunity to upgrade your marketing efforts and get your branding in front of your audience. We have some idea on how your can help your business make the most of your marketing budget in 2015.